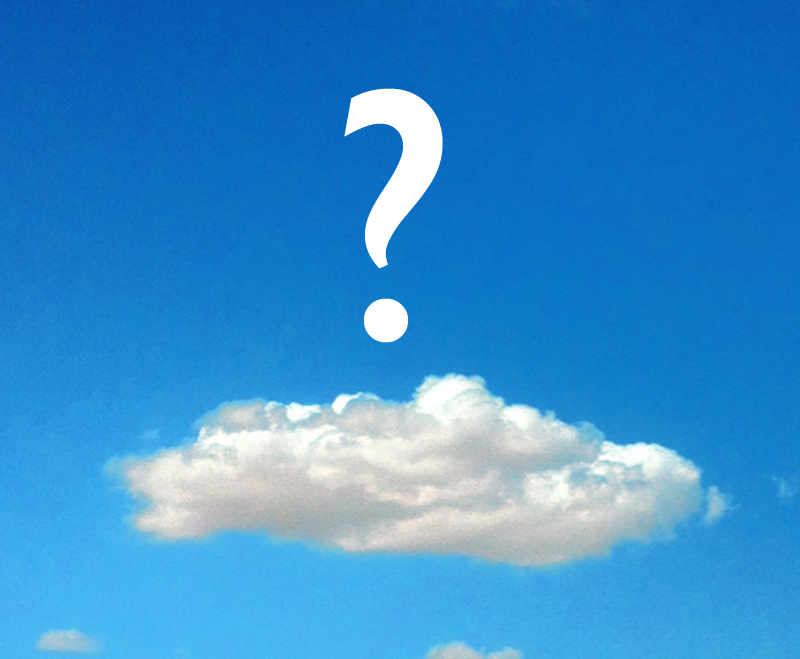 What is "the cloud," exactly? "What is the cloud, exactly?" When we discuss cloud storage in some of our classes, and some brave soul pipes up and asks this question, there is usually an audible sigh of relief as others around nod their heads, because they were too afraid to admit they didn't know what it was either. If you don't understand what cloud storage is, you're not alone. I'm going to simplify it for you. Basically, it means the internet. Yup. That's all it is, in a nutshell. In fact, if you use Facebook or Pinterest or any other social media site, you're already using "the cloud." Instead of (or in addition to) storing your stuff on your local computer, you store it on the internet. Think of it as kind of like an off-site storage unit for your digital stuff. You can store photos, documents, videos, and even run software programs in "the cloud." There are many heavenly cyberspace mansions in which you can store your precious items. Companies like Amazon Cloud, Google Drive, Dropbox, Apple iCloud, Carbonite, and hundreds more will rent you a virtual storage unit for a fee. Most give you a certain amount of free storage, and then you pay if you need more. Here are some of the pros and cons of using cloud storage for your photos and other family memories. You can easily access your photos and other data from any of your devices. Your data can be accessed from all your devices. Desktop, laptop, phone, tablet; you can look at your photos from any device you happen to have with you, any time. Can be accessed by all family members. Anyone you choose can view your data if you give them the username and password you have set up for your account. Disaster recovery available if local hard drive crashes. I hope you've never experienced the horror of losing a device or hard drive to hardware failure, theft, or a toilet mishap, and then realizing that all the cute pictures you took of your new grandbaby (or the last ten years of tax records) are now gone forever. This is the best reason I can think of for using cloud storage: BACKUP, BACKUP, BACKUP. Let me say it again: BACKUP. Data stored off site (safe from fire/flood). See above. You need access to the internet, and high-speed connection at that. So if you are spending a year in the outback, you'll have to keep it all on your hard drive until you can get to the closest internet cafe. Photos and video are pretty large files to transfer, so if you have a slow connection, it's gonna be S.L.O.W. Others may have unauthorized access to your files. Yes, they have security and privacy controls. But so did Target, and Michaels, and a bunch of other sites, and they still got hacked. It's always a possibility. If provider goes bust/arrested, you can lose your data. A couple of years ago, a major cloud storage company called Megaupload was shut by the Justice Department and their owners arrested for copyright infringement. Innocent users who used the site to store their family photos and other legal data lost everything. So do some research, and choose a service from a company with a good reputation that's likely to be around for a long time.